Introduction: With ICAST coverage over (finally), it is time to get back to reviews. Kicking things back up again is a bait that we have been fishing for a while now... the Triton Mike Bull Shad. If a trout is to a bass as a filet mignon is to us non-vegetarian or non-vegan human beings, then a shad might very well represent a cheeseburger to a hungry bass. 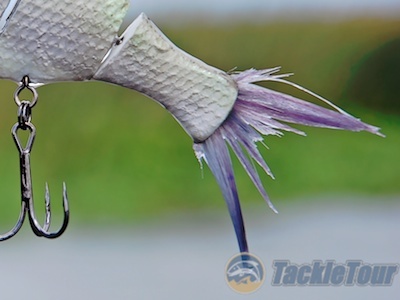 While shad imitating baits have been available for quite some time, over the past year or two bait manufacturers have really been focusing in on this bait fish witnessed by the proliferation of realistic hard bodied profiled baits with equally realistic swimming actions like the Spro BBZ-1 Shad, TruTungsten four and five inch baits, and so on. 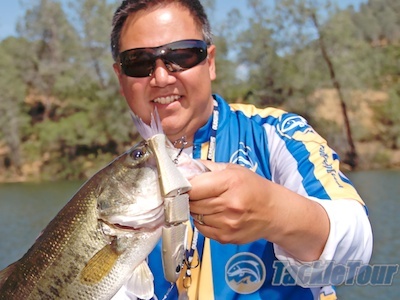 What healthy bass can resist the temptation of a cheeseburger sized shad? 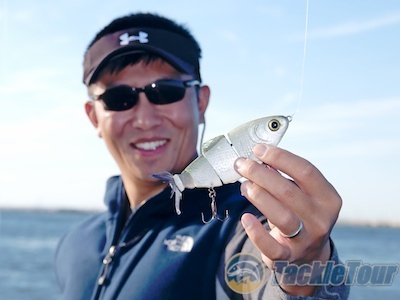 Up until recently, the majority of these baits have been produced in four and five inch sizes – a dimension chosen to mimic a very common bass baitfish, the threadfin shad. But most fishermen know not all shad baitfish are created equal and one species in particular, the Gizzard Shad, found in the Eastern United States, can reach lengths exceeding twenty inches and weights of over four pounds. In fact, at those sizes, gizzard shad sound a lot more like a porterhouse steak than a cheeseburger! Yet with all the early and continued success of big bait manufacturers making trout profiled baits to tempt those voracious southern California bass during a period that has revolutionized the type of baits we throw and the gear we use to throw them, little attention has been paid to making baits to mimic these porterhouse steak sized gizzard shad. That is until now. Enter Mike Bucca, also known as Triton Mike, a trophy spotted bass guide out of Georgia’s Lake Allatoona. Most anyone who has spent some amount of time in any of the virtual fishing communities across the Internet are probably familiar with Triton Mike. He’s a Lucky Craft, Dobyns Rods, Triple Fish, among others, patch wearing professional bass fisherman not afraid to voice his opinion and even less afraid to go out of his way to help a fellow angler. Shoot him a note, ask him a question, and he’ll do the best he can to either answer your question himself, find the answer for you, or point you in the right direction. One question Mike encountered several years ago while witnessing feeding frenzy after feeding frenzy of deranged spotted bass annihilating schools of gizzard shad was posed by himself, “Why aren’t any of the big bait manufacturers out West making baits to help us anglers out east?” In other words, there are no trout in Allatoona, show me the porterhouse! With that question, and virtually no answer in sight, Mike took matters into his own hands and began a project that would eventually lead him to where he is today. 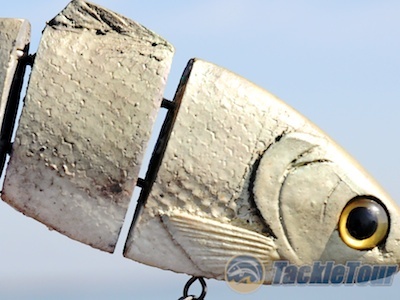 Introducing our much anticipated review of Triton Mike’s Bull Shad. 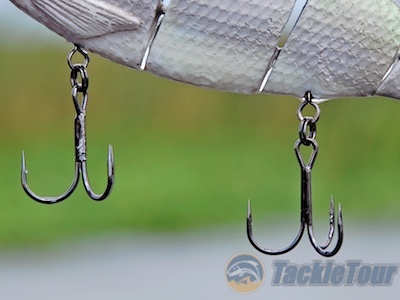 Impressions: Triton Mike makes no bones about it, by choice he’s a fisherman not a bait maker, so do not expect a highly refined, exquisitely detailed, finely finished bait that will swim out of its packaging to wow you with its realism. In fact, while the Bull Shad is quite the contrary it is exquisite in its own right. 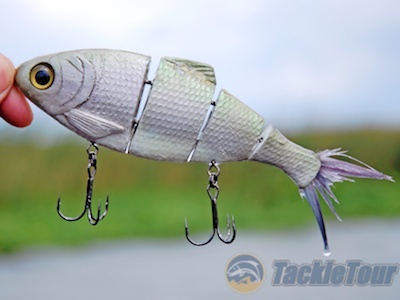 Instead of a super realistic imitation of a super clean and healthy baitfish, the Bull Shad resembles a beat up, harried, surviving by the ligament of its scales baitfish that’s led a hard life to get where it is today – tied to the end of your line waiting to be devoured. It is this no-nonsense, beat-up appearance that makes this bait so endearing. It is so rough that it’s artful and the fact it’s made to this degree of abuse simply by chance makes it all the more perfect.